Could mindfulness help ease symptoms of the menopause? New US research has found that practicing mindfulness may help reduce the number of menopausal symptoms experienced by women. Carried out by researchers at the Mayo Clinic, the new study looked at 1,744 women ages 40 to 65 who were receiving care at the Mayo Clinic's Women's Health Clinic and asked the women to complete questionnaires rating their menopausal symptoms, perceived level of stress and mindfulness. The findings, published in Climacteric: The Journal of the International Menopause Society, showed that women with higher mindfulness scores had fewer menopausal symptoms, and the higher a woman's perceived level of stress, the stronger the link was between higher mindfulness and a reduction in symptoms. The team also found that being mindful may be especially helpful for menopausal women struggling with irritability, anxiety and depression. However, they were surprised that a higher mindfulness score was not associated with symptom scores for hot flashes and night sweats, suggesting that the amount of stress experienced from these two symptoms may be influenced more by individual personality traits rather than the symptoms themselves. Mindfulness involves focusing attention on the present moment and observing thoughts and sensations, which is thought to help reduce stress by helping individuals avoid emotional reactions and overthinking. Lead study author Dr. Richa Sood commented on the research saying that, "These findings suggest that mindfulness may be a promising tool to help women reduce menopausal symptoms and overall stress." 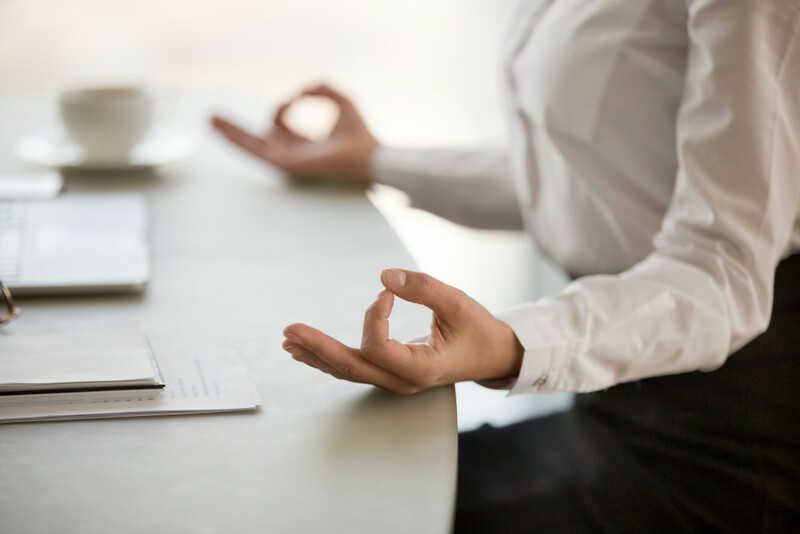 "While more studies need to be done, doctors can consider discussing mindfulness as a potential treatment option for menopausal women," continued Dr. Sood, adding that mindfulness is a skill that can be learned. "Essentially, the first step in being mindful is to become aware that our minds are on autopilot most of the time," Dr. Sood says. "The goal during mindful moments is not to empty the mind, but to become an observer of the mind's activity while being kind to oneself. The second step is to create a pause. Take a deep breath, and observe one's own space, thoughts and emotions nonjudgmentally. The resulting calm helps lower stress."